Eeek, Father's Day has just sort of crept up and bitten me on the bum! I'm not quite sure how we got to September so quickly. 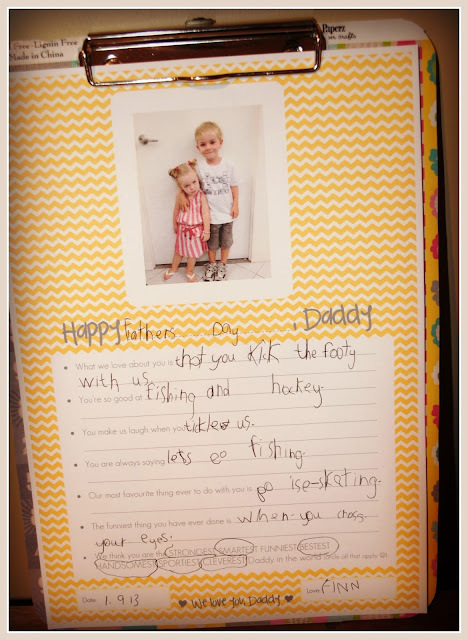 Anyway, if you, like me, have been caught a little unprepared this year, I've put together a fun little printable with questions about Daddy for the kids to answer (in their own words) and fill in (in their own writing) and also space for a special photograph. It's a good little exercise for the kids to do and can be a nice keepsake to look back on. 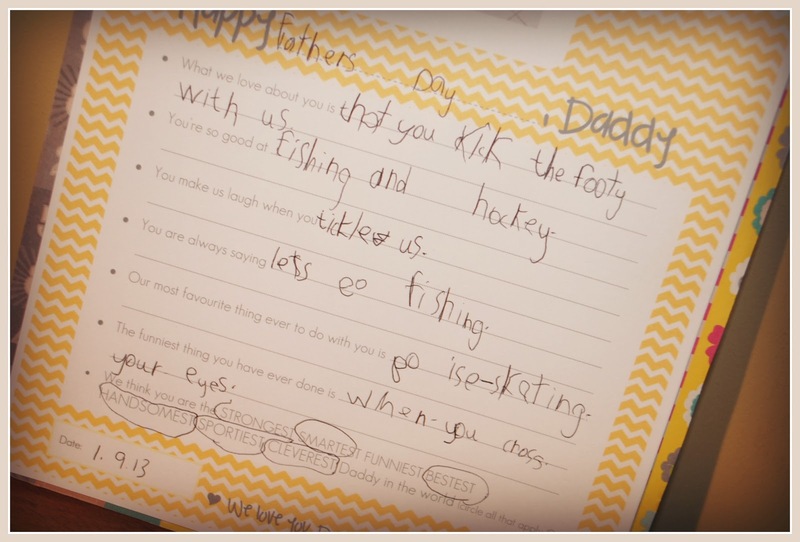 It can be used for Father's Day or for Daddy's birthday - it's up to the kids to fill in the blanks. So, here it is, and ... Happy Father's Day to all the wonderful Daddy's out there. I hope you get spoilt on your special day and the kids say lots of good stuff about you! !